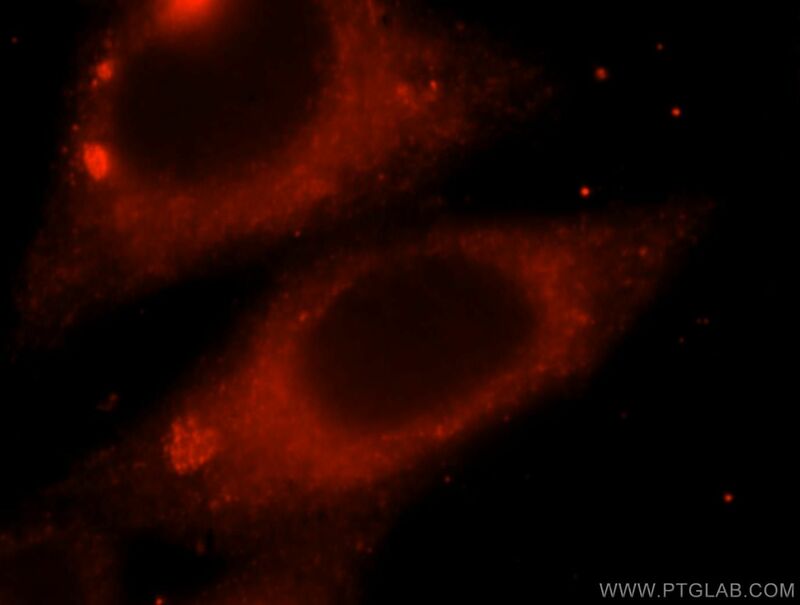 Immunofluorescent analysis of HepG2 cells, using MAPK10 antibody 17572-1-AP at 1:25 diluiton and Rhodamine-labeled goat anti-rabbit IgG (red). Inhibition of JNK3 Promotes Apoptosis Induced by BH3 Mimetic S1 in Chemoresistant Human Ovarian Cancer Cells. The potential role of HO-1 in regulating the MLK3-MKK7-JNK3 module scaffolded by JIP1 during cerebral ischemia/reperfusion in rats.